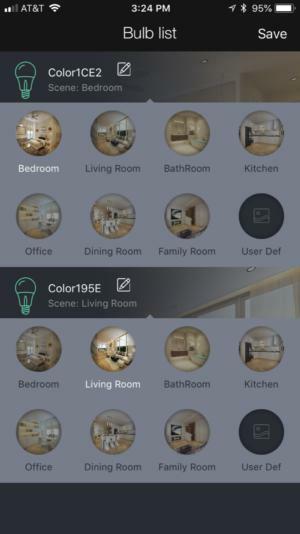 Sengled is probably best known for its ingenious Bluetooth light bulbs that integrate a wireless speaker into one housing, but now it’s moving into the broader commodity smart light bulb space with the Sengled Element line. There are four models in the Element line: two non-tunable white, one tunable white, and one featuring tunable full color. We received the lattermost, the Element Color Plus, for review. Bulbs can be assigned to preconfigured rooms within the SengledElement app. Setting up the bulbs first requires setting up the hub, which connects to your router via wired ethernet. It’s a typical configuration process, requiring stepping through the basic but reasonably well-designed app as you join the hub to your network. The kit’s best feature is realized in the following step: The bulbs are pre-paired to the hub, and they need no additional configuration to get working. (The only catch: Figuring out which bulb is which, based on the default name, an alphanumeric code.) A maximum of 64 bulbs will work with each hub. In use, the bulbs work well. Designed in a traditional Edison format, the 800-lumen bulbs are on the heavy side but remain appropriately compact. Dimming and tuning the bulbs is easy within the app. Separate tabs let you switch easily between white and color modes. The white mode features a slider and numerous color temperature presets, with the bulbs offering a very wide range of color temperatures, ranging from an ultra-warm 2,000K to a very cool 6,500K. Color temperature can also be fine-tuned by hand using a second slider. The full color mode features more presets and a spacious color wheel from which you can fine-tune your hue. Colors are moderately bright and the bulbs switch quickly between colors. Dimming is also smooth, and the app’s scheduling feature (hidden under the “Advanced” tab) is easy to work with. The good news is that you’re not obligated to use the hub. The Sengled Element bulbs also work as semi-generic ZigBee bulbs, so they can connect to Wink or SmartThings hubs instead (once you reset the bulbs). They’re also ready to go with Alexa and Google Assistant, so you can operate the bulbs via voice, no matter which hub you choose. 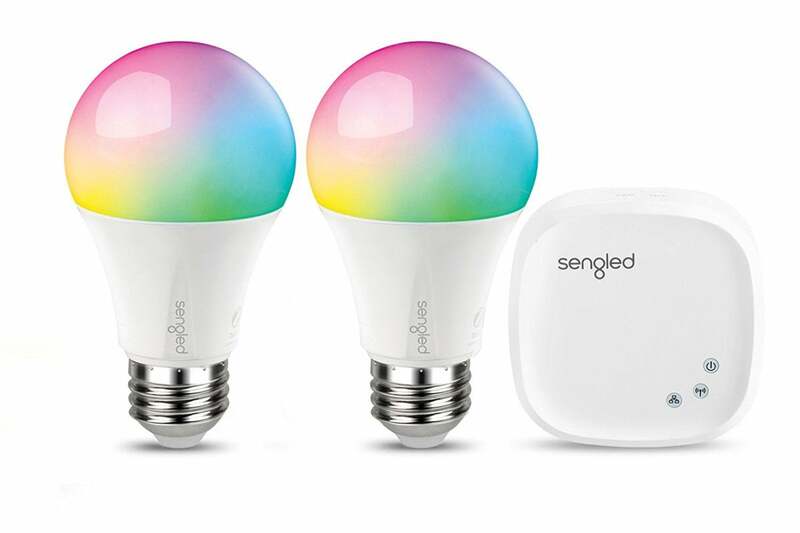 Sengled Element Color Plus bulbs will hardly reinvent the industry, and while the hub is not of any particular interest, the bulbs look good, work well, and stand just a touch above similarly priced generics. Sengled’s Element Color Plus bulbs look good are attractively priced.